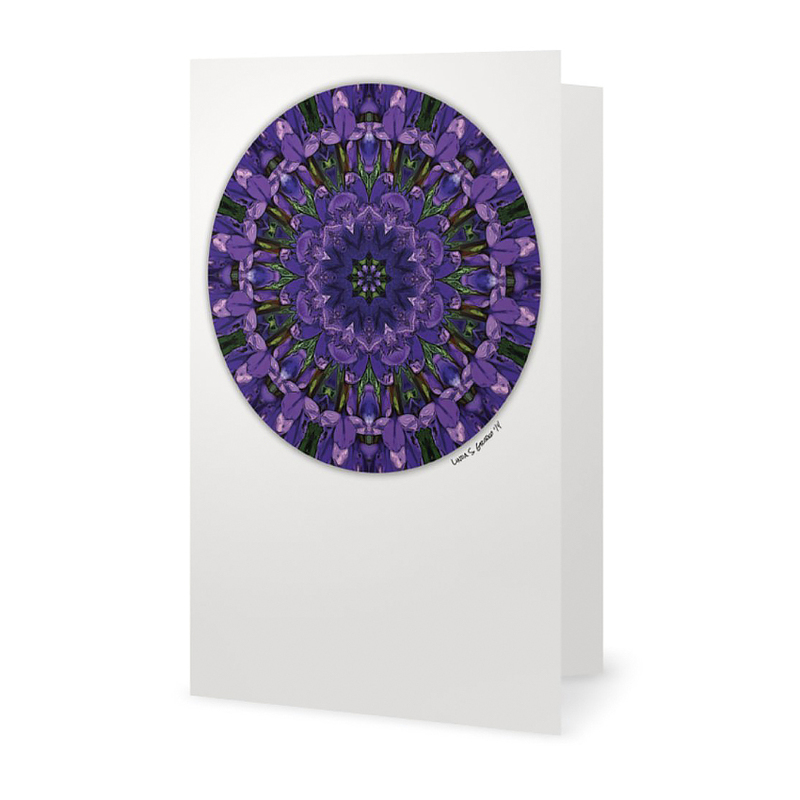 Bright mandalas paired with inspirational affirmations and printed on approximately 5″ x 7″ folded cards. 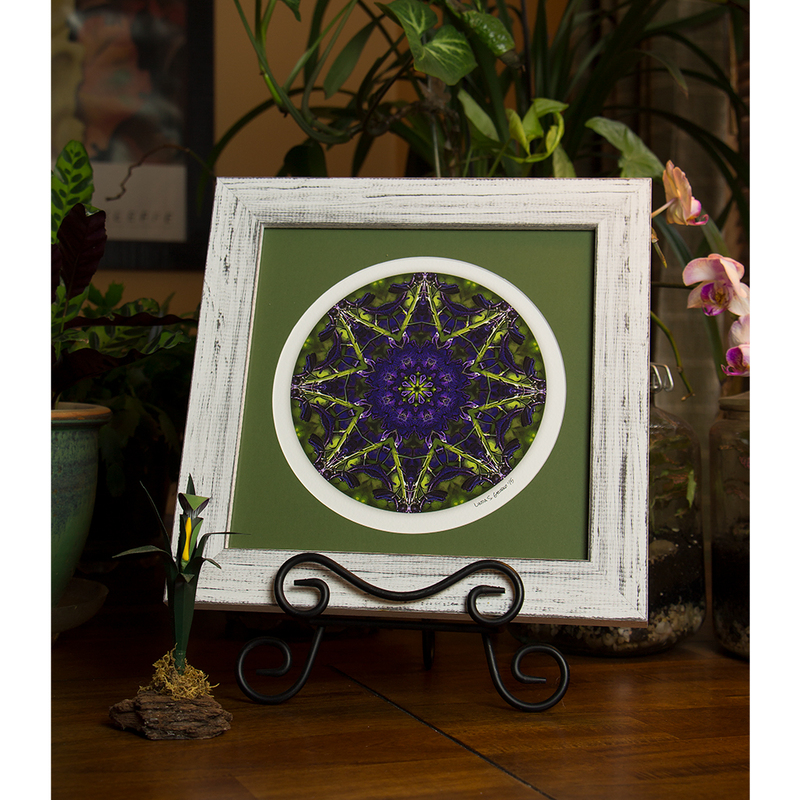 Perfect for giving, framing, or personal altar use. Thirty-five different designs are available—use the drop-down menu to see those that are currently in stock. 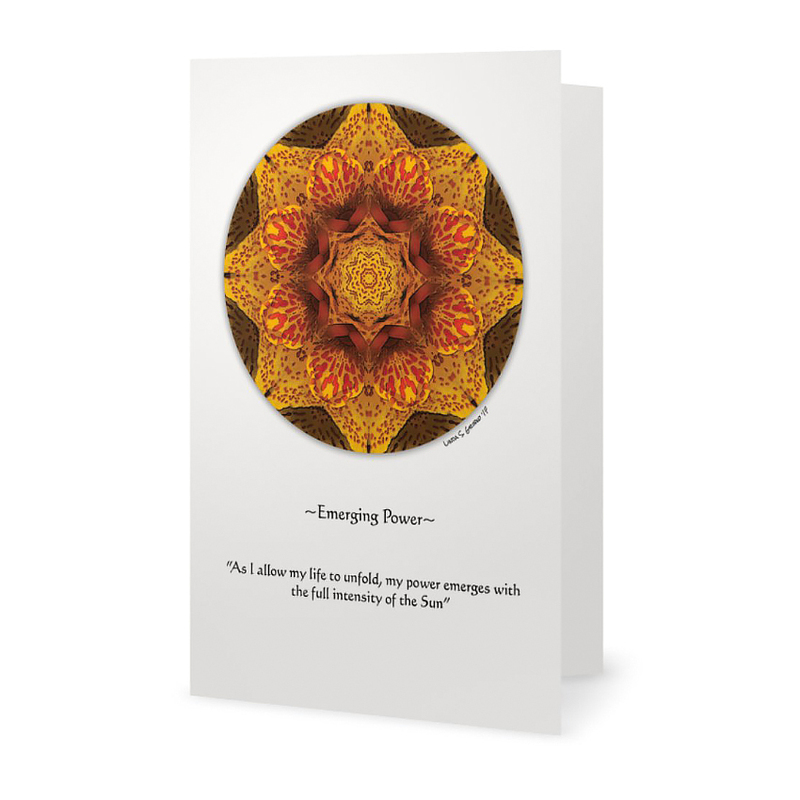 Single cards from the Flower Pop and Chakra Mandala Affirmation Greeting Card Sets. Printed on approximately 5″ x 7″ folded heavy card stock. Card fronts have a silk finish. (Note actual trimmed size is 4.61″ along the short side x 7.17″ along the long side). 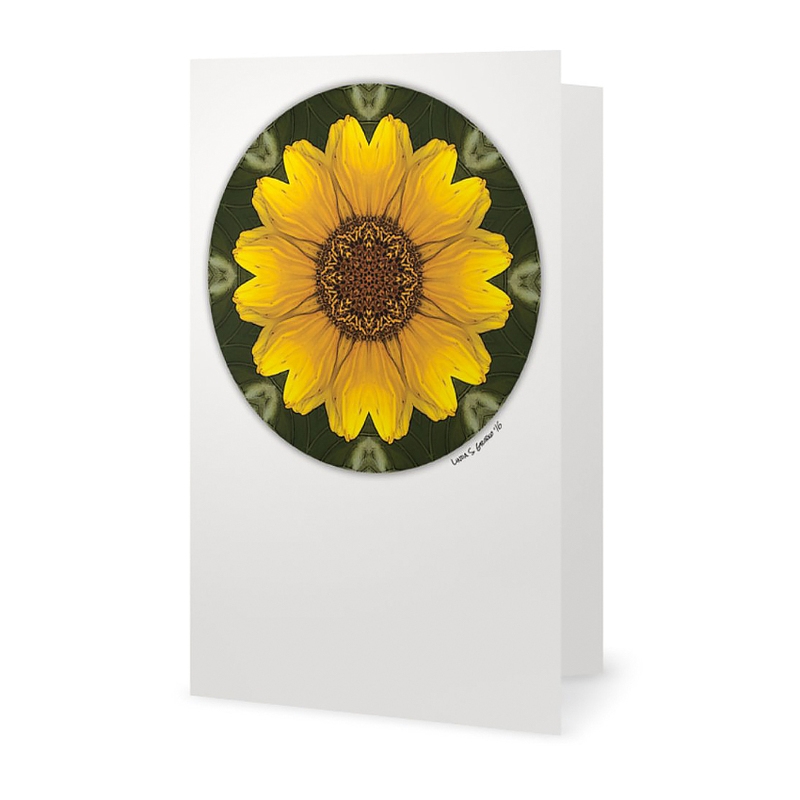 These cards are absolutely frameable and also make nice birthday, everyday, thank you, or sympathy cards. 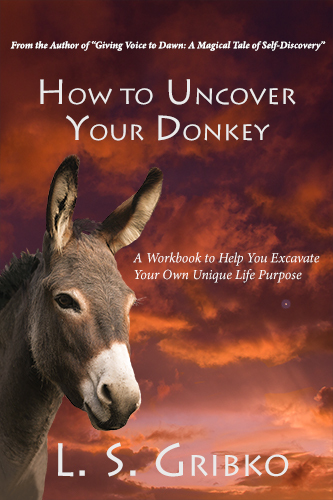 They’re often used as meditation or contemplation pieces on a bedside table or personal altar. A white envelope is included with each card.